SLAP on the sunscreen as part of your daily routine, experts are telling us. We are exposed to sunlight in so many ways. No all of it is due to conscious sunbaking. "In Australia we get a lot of incidental sun exposure from everyday activities such as walking to the bus stop or train station, or hanging out washing," QIMR Berghofer Medical Research Institute's Associate Professor Neale says. Critcially, she reminds us that the DNA damage that causes skin cancer and melanoma accumulates with repeated small doses of sunlight. The recommendation is that we apply sunscreen every morning before we head out the door, when the maximum UV level is forecast to be three or higher. "For much of Australia, that means people should apply sunscreen all year round, but in areas like Tasmania and Victoria there are a few months over winter when sunscreen is not required," Professor Neale added. The easiest way to do this? Brush your teeth, brush your hair, apply the sunscreen; every day. And, if you are staying outdoors for any length of time, wear a hat, protective clothing, sunglasses and reapply the sunscreen every two hours. 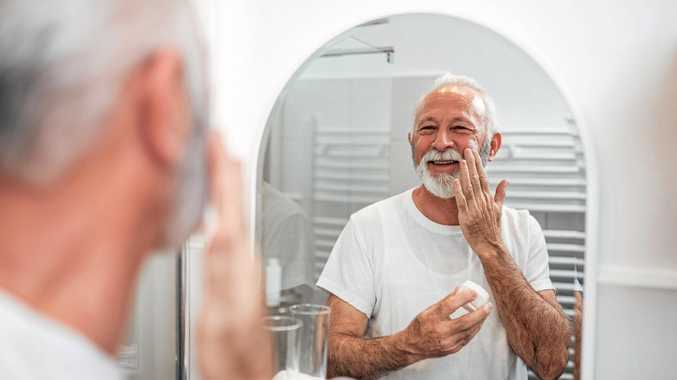 For those seniors concerned about what affect sunscreen could have on them, Terry Slevin from the Public Health Association of Australia says: "There is consistent and compelling evidence that sunscreens are safe, and reactions occur in a very low proportion of the population". "Importantly, clinical trials have found that people who use sunscreen daily have the same levels of vitamin D as those who don't."